Iceland! A land of unmatched, rugged natural beauty with a rich, storied human history. 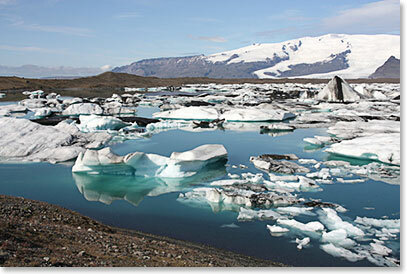 It is the land of the Sagas, Viking settlement and exploration, geysers, glaciers, volcanoes, sea life and farms. The entires population of Iceland (330,000) is smaller than the city of Halifax. Small, well ordered cities and towns, including the capitol of Reykjavik, give one the feeling that all Icelanders live with an enviable awareness of the natural world. Join us for seven days as Wally Berg and nine members of NSNT Expedition for the Earth Team explore southwestern Iceland, including the wild and fascinating Fjallabak Nature Reserve. Our goal is to renew our selves along wild trails, meet Icelanders who share our own passion for conservation and stewardship of resources and find adventure! We are going to learn and we look forward to sharing reports from our Iceland journey here in the coming days. Please check in and follow along and please help us by supporting our goal of raising $70,000 to put toward preserving critical habitats, clean air and water and priceless unspoiled natural areas at home in Nova Scotia.